An individualized eating plan specific to your body type. Not a one-size fits all program-specific times will cause your specific body type to burn fat. Never go hungry. You will eat generously, and often! Enjoy fresh fruits and vegetables, as well as meats and potatoes. No drugs or gimmicks ever! Totally natural healthy weight loss, eating whole foods. Drug induced weight loss is temporary at best, and can be dangerous at worst. Gimmicks are just that. Program is designed to restore your metabolism to it's optimal rate. Turbo-charge your metabolism, causing you to regain the weight. 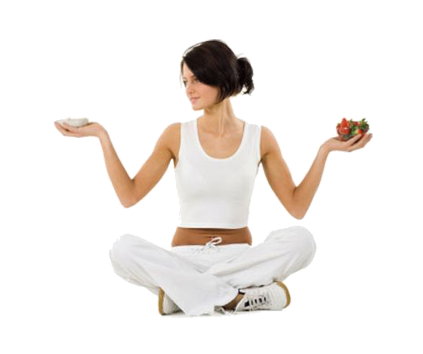 Weekly one-on-one counseling with a registered nurse weight loss coach. Statics show that individualized counseling and accountability substantially increase success rates. You will also receive an initial exam and history by Chiropractic Physician, Dr. Vivian Ebert. Proven success over a cross-section of people of various ages, body types, and genders. If you follow the program, you will lose weight. Telephone and email support as needed. In addition ti your weekly counseling appointments, you will have access to your weight loss coach via email and telephone throughout the week for questions or others help. An investment that will pay a lifetime of dividends. Unlike fad diets that only works as you continue to buy the foods, drugs, and food substitutes, you will learn what you need to know to continue to control you weight forever! At last, be empowered!